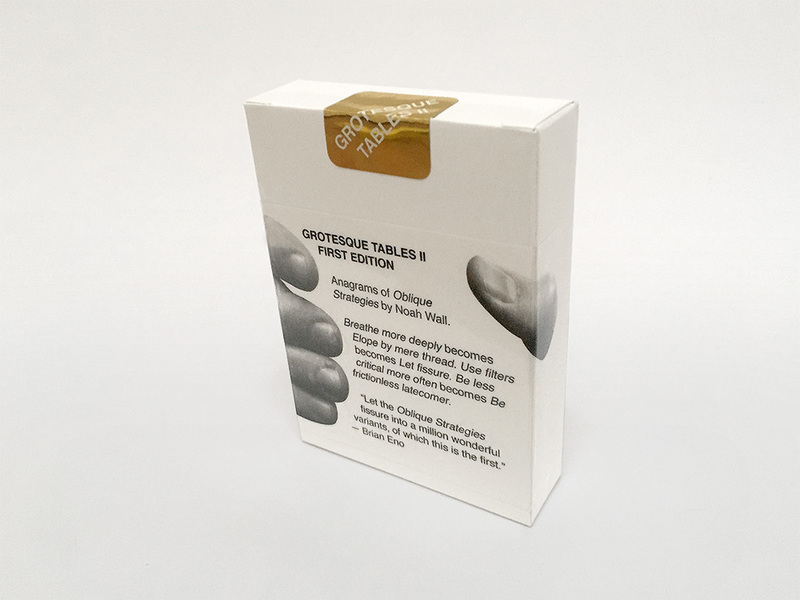 Oblique Strategies (Over One Hundred Worthwhile Dilemmas), released in 1975 by Brian Eno and the late British multimedia artist Peter Schmidt, is a deck of 100+ cards with evocative statements designed for musicians, artists, and others who find their creative imaginations stuck in a ditch. The minimal, modern black and white cards, housed in an equally stark black box, present strange and evocative statements and directives that the querant agrees to follow and allow to inform the current phase of his or her work. Here, let me draw a couple of cards. I got: "Tidy up," "When is it for?," "Give way to your worst impulse," and "Look at the order in which you do things." If you need any testament to the efficacy of these cards, they were used in the studio to aid in the composition and engineering of tracks on Eno's Another Green World and Before and After Science, Bowie's Berlin-period records (Low, "Heroes," Lodger), and again on Bowie's 1995 record, Outside (among many other records). Damien Henry, co-inventor of Google Cardboard, trained a machine learning algorithm using footage shot from a moving vehicle and then had the machine generate this beautiful video. 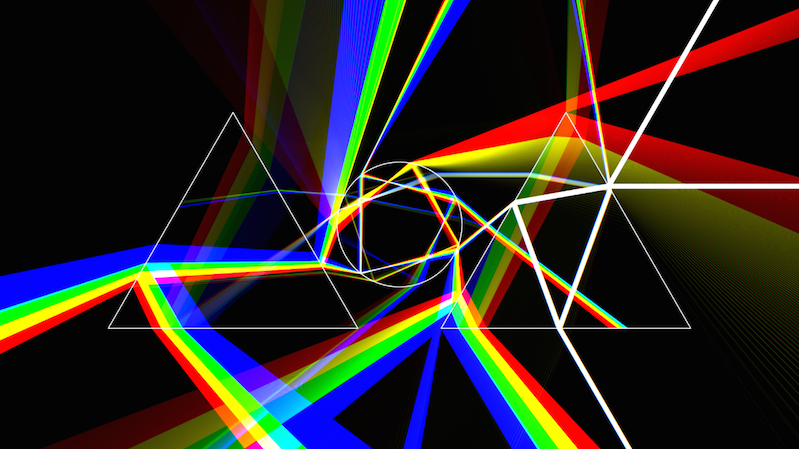 "Graphics are 100% generated by an algorithm in one shot. No edit or post-processing," Henry writes. "Except the first one, all frames are calculated one by one by a prediction algorithm that tries to predict the next frame from the previous one." The soundtrack is the Steve Reich masterpiece "Music for 18 Musicians." 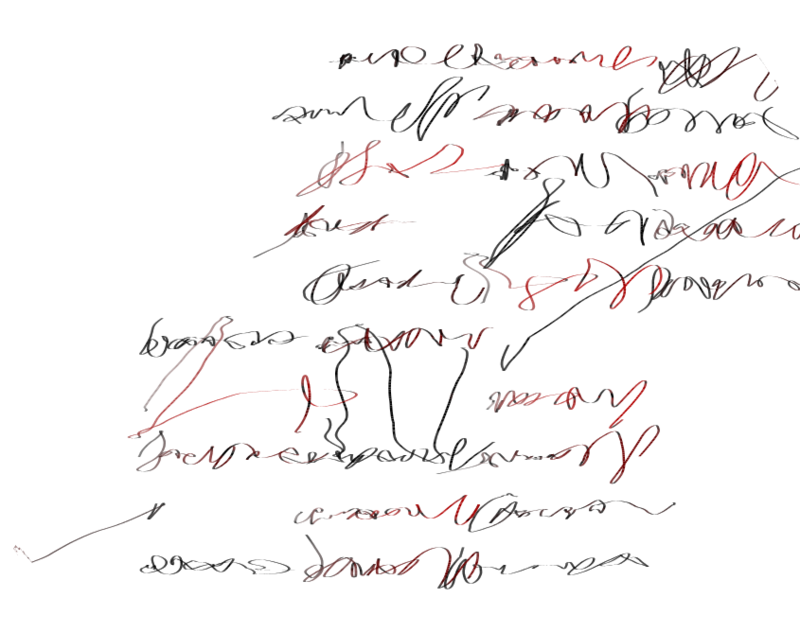 Paavo Toivanen wrote code that generates uncannily human, but utterly meaningless and illegible writing. Toivanen's thoughts on generative art are worth reading. Generative art should ideally retain two disparate levels of perception: the material and visual qualities of a piece of art, and then a creation story or script and the intellectual journey that led to the end result. 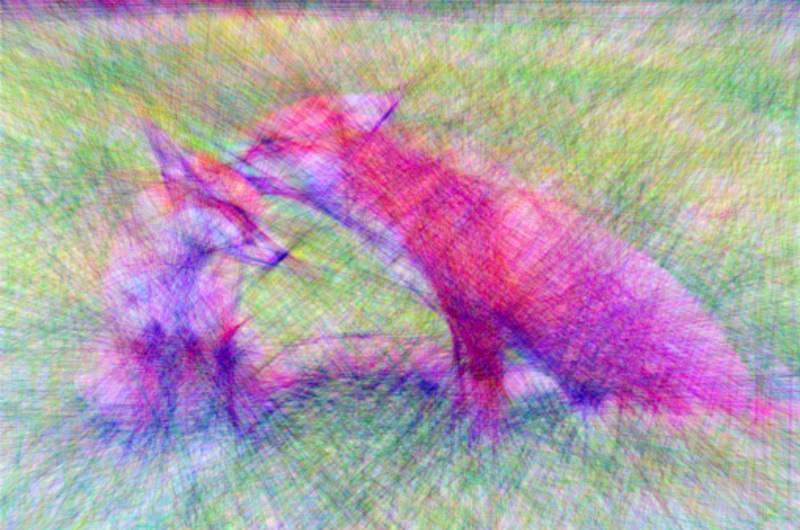 Linify Me accepts JPG uploads and redraws the images using only straight lines. The effect is ghostly yet technical, resembling something human-drawn but not enough to be confused as such. Watching the picture emerge over time is strangely meditative. Unless you've uploaded a picture of Trump, that is, in which case it's just another example of something slowly going wrong on a computer. Kent sez, "Enter your Twitter handle and watch as your tiny online avatar turns into large-scale generative art. Results can look like batik, pastel, or tie-dye, depending on the original." We're calling the Twitter API from Yahoo! Query Language, receiving an image URL for your avatar, converting it to a data:uri, and returning its base64-encoded value as JSON with a callback. Then we create an image on the client, load it with the data YQL gave us, and stretch it to fit our (comparatively very large) canvas tag. Since we've created the image locally, the usual canvas security restrictions don't apply and we're free to sample pixels. We do this, collecting color values and positions, and then we start drawing circles with random sizes and tiny random offsets from where each color sample was taken.